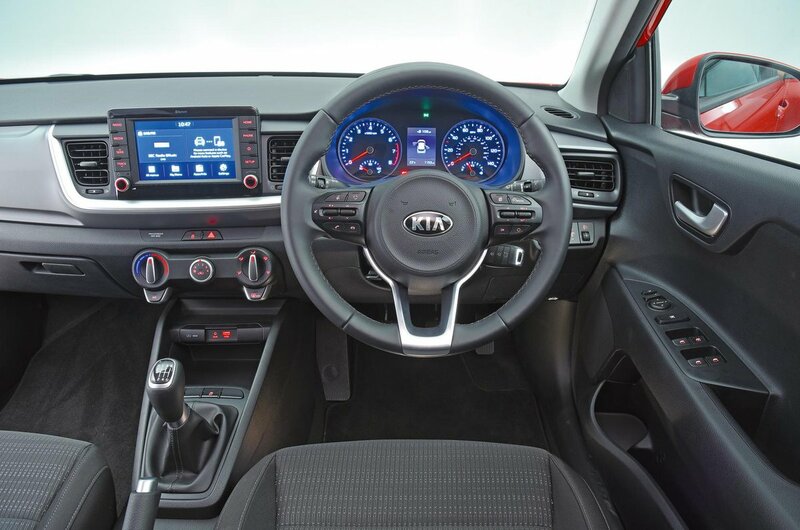 Kia Stonic Interior, Sat Nav, Dashboard | What Car? The driving position is a little odd, but not because it’s poor; rather, it's because you sit low, with your legs stretched out. That’s fine in small hatchbacks such as the Rio, but plenty of SUV fans will prefer a higher perch. 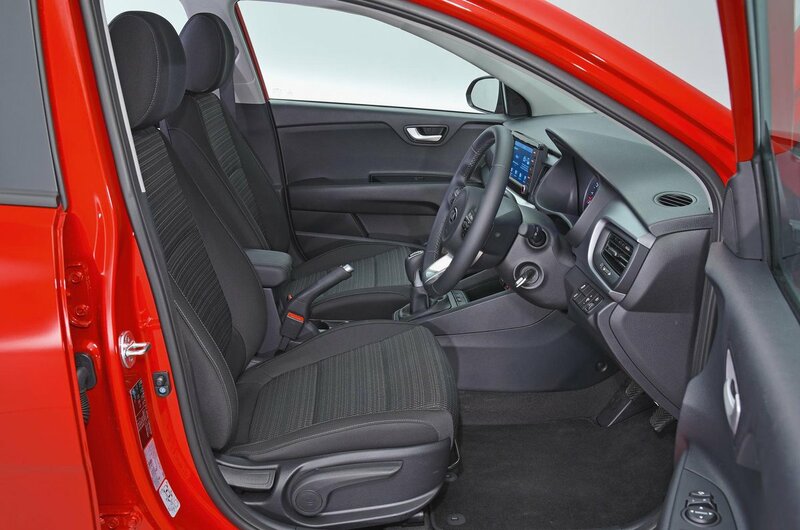 Still, there’s no doubting that, with standard seat height adjustment and plentiful in-and-out steering wheel adjustment, you can get comfortable whether you’re tall or short. There are other commendable aspects of the Stonic’s interior, such as the standard sliding front centre armrest and the position of the buttons and switches on the dashboard – everything is placed just where you'd want it to be. It’s pretty easy to see what’s in front of you from behind the wheel of the Stonic, thanks to the car’s relatively slim front window pillars. The view behind isn’t too bad, either. The rear pillars are thick, but at least the rear screen is quite deep. Plus, all Stonics come with rear parking sensors as standard. If you go for range-topping First Edition trim, you'll get a reversing camera, too. Considered among its class rivals, the Stonic’s infotainment system is really rather good. For a start, you get a decently large 7.0in touchscreen and features including a DAB radio, Bluetooth and smartphone mirroring. This means that even if you buy the car in entry-level 2 trim without sat-nav, you can link up an Android or Apple phone and display the sat-nav through the car’s screen. This works for other selected apps such as internet radio, too. First Edition trim includes a built-in sat-nav, which gives you live traffic reports from TomTom. Being positioned high on the dashboard, the screen is easy to see and its large icons are easy to hit. Even though it responds a tad slowly to inputs at times, we’d still rate the Stonic’s infotainment system as one of the best in the class – although the Seat Arona's is even better. The Stonic feels solidly made inside. Press and prod the dashboard and nothing wobbles, while all of the switches and buttons feel nicely damped. There is a ‘but’ here, though. 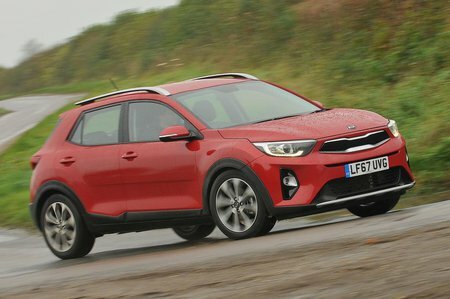 As in the Arona and the vast majority of other small SUVs in this price bracket, there’s precious little give in the surfaces, which are all hard plastics, including on the upper door trims and dashboard. First Edition models get a smattering of colourful trims and some faux leather on the doors to spruce the interior up a little.